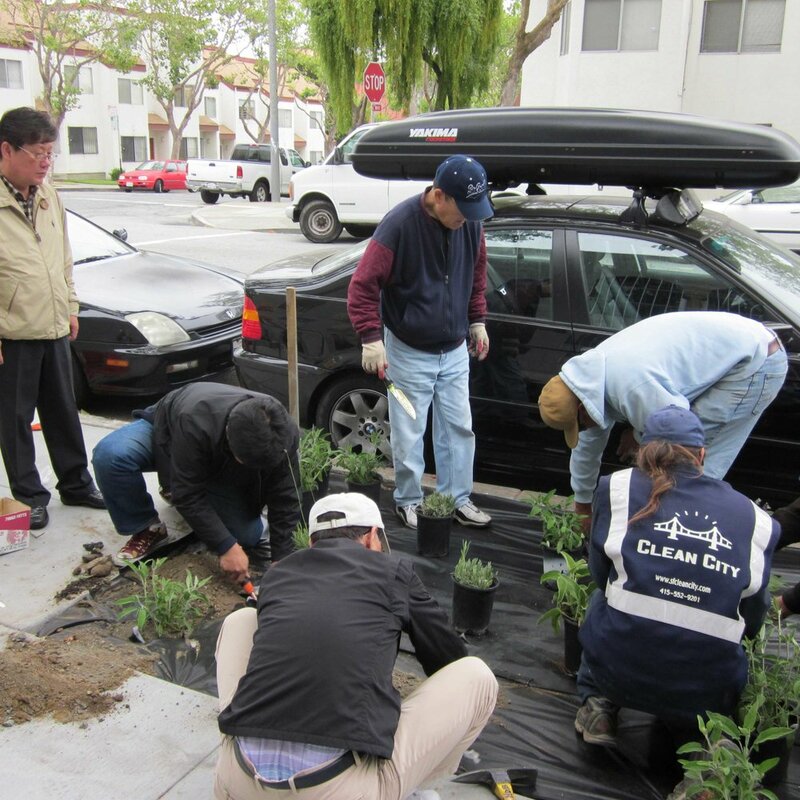 The San Francisco Clean City Coalition is a non-profit organization established in 1991 to focus on cleaning, greening and beautifying the City of San Francisco. Get paid to clean and green. Let us help you find that job! Do you want to earn some money while you’re looking for a job? Do you need job placement assistance? Are you willing to help us beautify San Francisco neighborhoods? To get an application, attend an orientation! for your beautification project? Click here to see how SF Clean City can help. To report graffiti, illegal dumping, or excessive litter to DPW.